in this blog, my focus features the value and importance of initiatives to empower vulnerable communities ravaged by the global financial and economic crisis. The blogger, Josh Chigwangwa is a founder member of CobFin Finances Services launched in Harare in 2002 as the pioneers of Micro-Finance credit as a means of bridging gaps and inequalities to access resources. In the latest report, reporter Lucy Conger speaks with Anne-Marie Chidzero about her career in Africa’s microfinance industry, the developments it has undergone in recent decades, and the work ofAfriCap, where she serves as CEO. An edited transcript of the interview follows. A daughter of Zimbabwe before it won independence, Anne-Marie Chidzero was raised in Africa and Europe. Her studies and work took her to Canada and the United States, but she always knew she would return to Africa. Chidzero studied economics, inspired by her father’s role as finance minister in the newly independent Zimbabwe. Unlike her father, she focused on the private sector in her master’s degree studies. 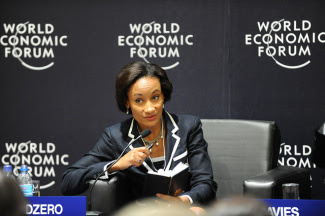 “I felt strongly about the role of the private sector for Africa,” she says. Early in her career, she worked with small enterprises at the UN Center on Transnational Corporations. There, she honed her skills in identifying entrepreneurs and creating entrepreneurship training and platforms that linked small business with multi-nationals and the financial sector. On joining the World Bank in 1993, her work broadened to include micro, small, and medium businesses. As part of the team that launched the Consultative Group to Assist the Poor (CGAP), a multi-donor initiative aimed at improving financial services for the poor, Chidzero conducted financial appraisals of microfinance institutions (MFIs) and led training in best practices for MFI staff as well as donors and governments. She moved back to Zimbabwe in 1997 and then to South Africa where she has consulted on microfinance and financial sector development while raising her two children. Chidzero has spent the last 10 years dedicated to making markets and financial sectors work for the poor. As a consultant to FinMark Trust and in various roles at AfriCap Microfinance Investment Company, Chidzero works to adapt regulatory and policy frameworks for financial inclusion at the bottom of the pyramid and seeks to introduce innovations such as microinsurance. 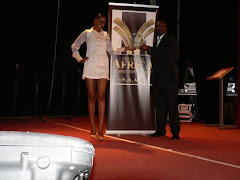 At AfriCap, she manages the equity investments of the fund. AfriCap buys shares in regulated MFIs and buys quasi-equity (such as convertible loans) in MFIs that are not yet regulated, aiming to convert them to equity holdings once the MFI becomes a regulated entity. All of the invested companies of Africap are managed by Africans. Reporter Lucy Conger spoke with Chidzero by telephone, in her office in Johannesburg. An edited transcript follows. Conger: How did you get started in international development? Chidzero: My passion for development work stems from my upbringing. My father, a native of Zimbabwe (then Rhodesia), worked for the United Nations for a long time. As we could not live in then-Rhodesia because my parents were a mixed couple, we lived in Ethiopia, where I was born, Kenya, then Switzerland. My father always spoke of his dreams for Rhodesia. Later, my father became finance minister of independent Zimbabwe and that greatly influenced my desire to contribute to the African continent from an economic perspective. There was a slow shift at that time away from a more socialist to a more capitalist approach to development and the private sector was seen as the engine of growth. At the United Nations, I worked with transnational corporations in developing countries, creating links between small businesses and corporations as part of the value chain. Conger: You were directly involved with the World Bank’s initial forays into microfinance and with the launch of CGAP. What was your role there? Chidzero: At the CGAP, I traveled to African countries to identify the World Bank role in microfinance. At the World Bank, microfinance was seen as a tool for poverty alleviation. They understood the importance of getting this right. My role was to share best practices with country offices in Africa and to feed microfinance into the strategies for the financial sector and the Bank’s country assistance plans. I always believed the private sector was the way to do this; that is a thread throughout my career. Conger: What are the landmarks in the development of the microfinance industry in Africa? Chidzero: When I began working, microfinance in Africa took the form of either large, informal savings clubs or non-governmental organizations (NGOs) providing revolving funds and not focusing on interest and repayments. When we engaged with policymakers, they couldn’t understand how you charge interest on loans for the poor. Equity Bank of Kenya was a landmark, it convinced people that one can profitably serve this market, and Equity Bank is run by Africans. Now, there is a real understanding among policymakers that microfinance is part of the financial sector and policies and regulations must provide an enabling environment for microfinance to grow and for the development of more inclusive financial sectors. And also to support innovation in the financial sector to the benefit of those that do not have access to financial services. Conger: What is Africap’s strategy for investing in MFIs? Chidzero: We’re fully invested, so our strategy now is to build our institutions and create shareholder value. Twelve investments are MFIs at various stages of growth, one is a payment platform, another is a bank working in the cell phone transactions space. We are also looking for opportunities to exit [from] some of the investments. Conger: How do you strengthen the institutions, and how is capacity-building financed? Chidzero: Africap takes an active role in the operations of its portfolio companies. Through its technical assistance facility, Fintech Africa, it is able to provide capacity-building support and TA to AfriCap portfolio companies. FinTech provides technical assistance in areas like management information systems, and it trains investee staff in risk management, financial analysis, governance, accounting principles, and skills for loan officers. FinTech also places experienced technicians in MFIs for two years and there they train operations managers, finance directors, and audit managers. FinTech allows us to accelerate institution-building. The costs are shared, with 40 percent coming from the MFI and FinTech providing the remainder with funds provided by international donors. Conger: What are some of the innovations you are working with? Chidzero: Cellphone banking is being introduced through FinTech, which is preparing all Africap investees with management information systems that can eventually engage with cellphone banking. One of the Africap investments is a tech company with a platform for mobile banking and the use of cards, and another investee is a company with leadership in cellphone banking. Mobile banking is promising due to the low population density in Africa and the low costs and high penetration of cellular service on the continent. We’re on the tip of the iceberg. Conger: How do you evaluate the success of Africap as a model for private financing of microfinance in Africa? Chidzero: The jury is still out. We have successfully done three exits during the first and second funds and these generated positive returns. We have also made losses, and had to write off some institutions. There are lessons both in terms of Africap’s investment decisions and the spread of the portfolio. We tried to diversify country risk/political risk, and also have a large footprint across the continent. With 14 investments across the continent, and a very small investment team, overseeing the investments becomes a challenge from a cost and human resource perspective. Conger: What other challenges does the fund face? Chidzero: It’s been tough, one needs to have a long-term horizon. Microfinance is a difficult business. For those who think they can invest and make a quick financial return in Africa, I wish them luck. We have lost some value in our portfolio and are working now towards increasing shareholder value and building strong, profitable institutions with good outreach. We see good potential for this as we work closely with FinTech. I believe the glass is half full. I’m very excited about the challenges and opportunities this portfolio holds to generate both social and financial returns. Conger: Would you change the investment strategy? Chidzero: If I were to redo this, I would say, “Let’s find African leaders who have a passion and vision for microfinance, and support them to realize their vision.” To a certain extent we have done that. I also think a regional approach makes sense. We could focus on institutions that could forge joint ventures across national borders. I would also reduce the number of investments, and provide more capital to fewer companies. I believe we have a unique formula – where we can combine TA support with equity, while playing a very active role in the operations of the investments. We are all, at AfriCap and Fintech, from the board to the management team, working towards making this formula a success story. It is going to take a lot of hard work and dedication. Conger: In addition to providing equity capital to MFIs, Africap also plays an active role in governance of MFIs. What are the contributions Africap has made through its governance role? Chidzero: We grouped all of the CEOs of Africap investees into an Africap network which meets once a year. There, they share lessons and business ideas. At the last conference, the focus was on governance and leadership and the role of a board for MFIs. Africap sits on all of the boards of our investees. We try to see that the boards of the MFIs use practices of good reporting and good understanding of the financial statements. We’re encouraging our institutions to report with transparency and to join the Association for Microfinance Transparency. Additional support comes from FinTech, which is developing a training initiative on governance for the portfolio companies. Conger: From your vantage point overseeing investments in MFIs across Africa, how do you see microfinance evolving on the continent? Chidzero: The story is “watch this space.” There are a lot of fragile institutions. The issue we deal with is how to do microfinance economically—the jurisdictions are small, population density is low, and finding human resources is difficult. There is a lot of demand for microfinance; building up the staff and operations of the institutions are real challenges. Africap wants to build leadership; that is key. Conger: It seems remarkable how work with the private sector, financial access for the poor, and Africa are interwoven in such a consistent way throughout your career. Chidzero: I knew at university that I was going to be a daughter of the African soil and make a contribution to the continent. Acknowledgements to Annie-Marie Chidzero, Lucy Conger, Center for Financial Inclusion and the World Economic Forum.